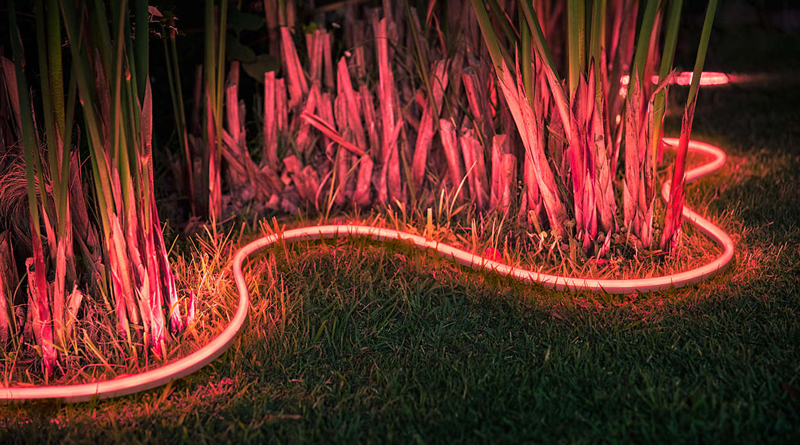 The outdoor light strips aren't technically being formally announced, but according to Homekit News, they were silently and unceremoniously dumped onto the Philips Hue Dutch site. At the time of writing, the listing seems to have been pulled, so it's possible they were revealed before Philips intended. Homekit News also managed to pull relevant specs before the page was removed. The lightstrips will come in 2 and 5-meter lengths (probably in both white and colored varieties, but we can't confirm) with power supplies and extension cables included. The strips are flexible and weatherproof for outdoor use, and it can be secured to the ground via clips and screws. Like other Philips Hue products, they'll be Assistant-compatible as well. The Hue Adore was actually revealed back on July 17th, and we missed it (whoops), but if there's one thing I've learned working at Android Police, it's that Artem gets really excited about smart lights. The Adore is IP44 protected against bathroom splashes, with a dimmer switch conveniently included. Unlike the outdoor lightstrips, it's only available with white LEDs. Given a bathroom mirror's primary purpose is to see yourself in it, the color-preserving clarity of white light is all you'd really need. Unfortunately, it appears the mirror is not heated. 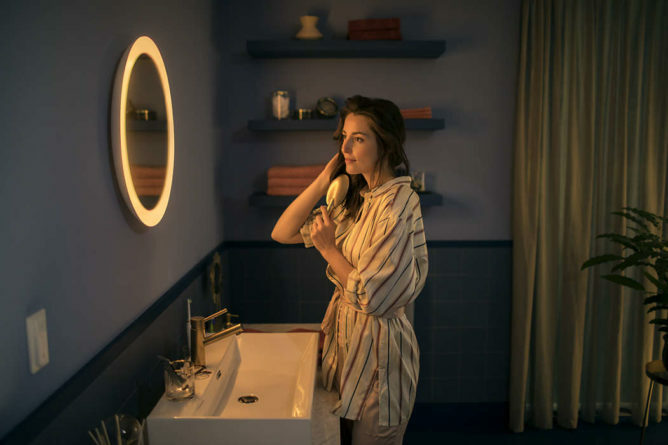 Although it's currently out of stock, the Adore does have a product page on the Philips Hue US site, with additional specifications, photos, and marketing copy. Philips advertises it as being a 204W equivalent with 2400 lumen, dimmable output, and a 30K hour lifetime.